Remember the fun you had playing Hopscotch? Well, these pages are fun, too. The fun photo frames (say that 3 times fast) will enhance your pictures and the colors are all bright and cheery and remind you of the bright clear days when kids played outside. Hopefully, your kids are playing outside even if they are having fun in the snow! My sister in the northeast is under 2 feet of snow now. Of course it was 80 in Texas yesterday... No brag, just fact :-) We do pay for it in the summer, ugh! 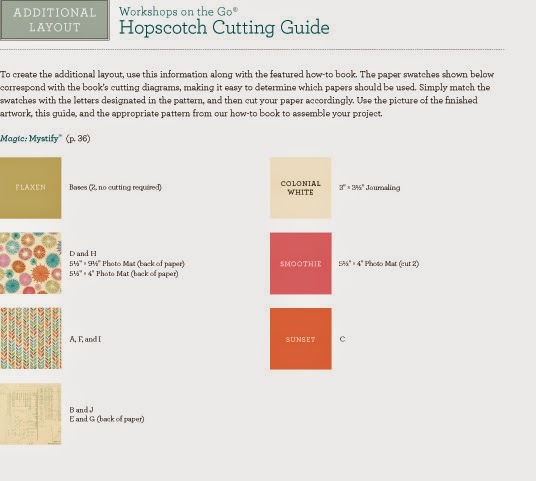 The suggested pages from the instruction guide using Cricut cuts and the Cricut Artbooking cartridge (Z1790). This are the items that come with the Artbooking cartridge (Z1790). The cartridge itself has 700 images to choose from. 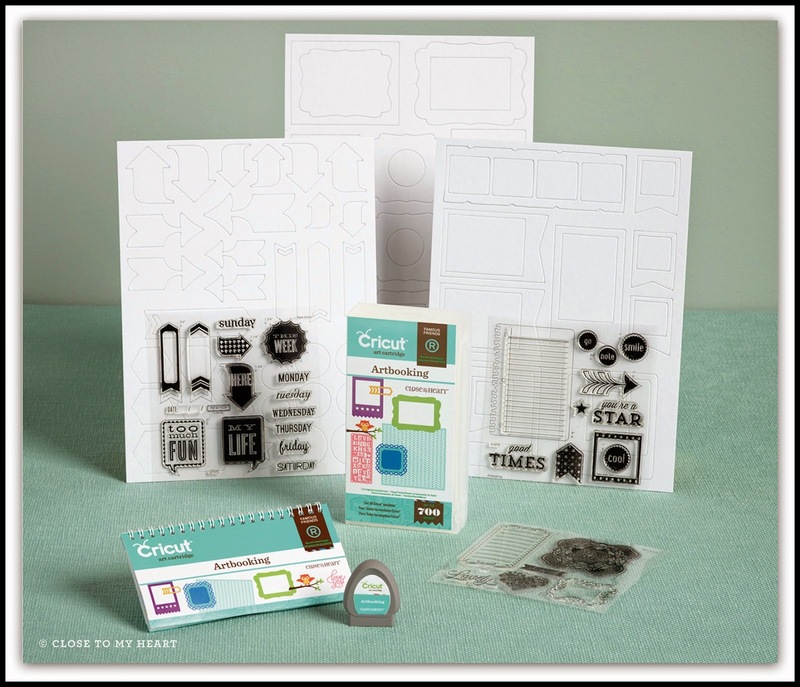 Now, if you don't have a Cricut, you could have the accent pieces with none of the cutouts. No Problem! 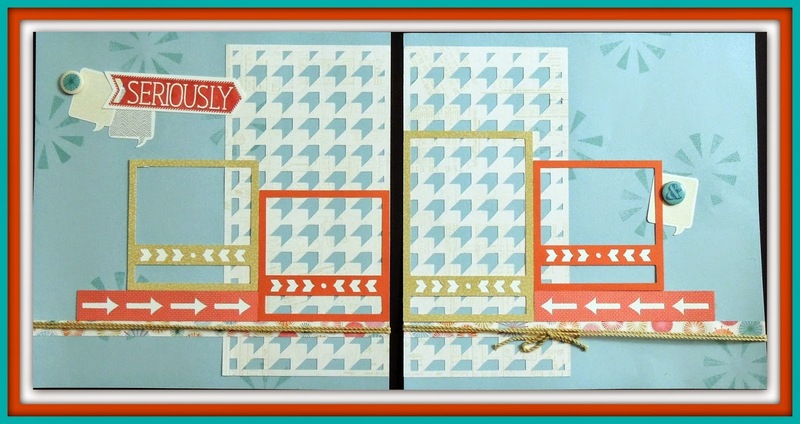 Solid easy cuts and no stamping makes this a fast, no muss no fuss layout! I used a coordinating Hopscotch Picture My Life z3045 card for the title. You can also use a lined card for journaling which I will be adding since I just thought of that!! Here is the cutting guide for the alternate layout. 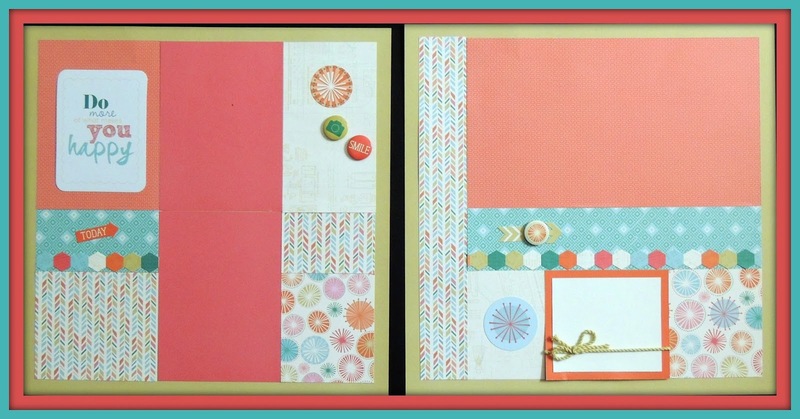 Not all layouts or pages have to go in a scrapbook. It can be framed and enjoyed by everyone. This beautiful layout was created using the Hopscotch Workshop On The Go (G1091).